Posted on April 30, 2012 by M.E. Rihanna has been doing her homework!! She stepped it up big time in her new video for “Where Have You Been,” the Dr. Luke and Calvin Harris-produced single off her sixth album Talk That Talk. The pop starlet shows off her fancy footwork and beautifulness in the dance-heavy clip, directed by Dave Meyers (Missy Elliott, Janet Jackson). 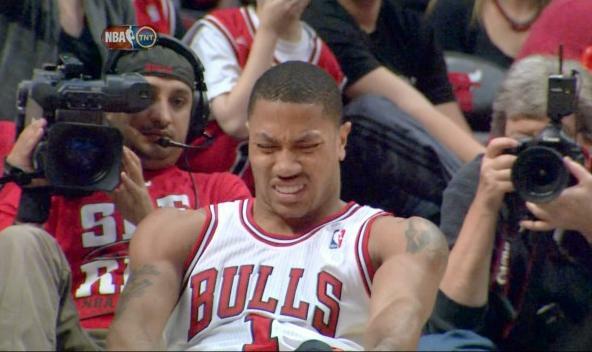 Derrick Rose crumbled to the floor, clutching his left knee. His season is over and the Chicago Bulls‘ title hopes might be finished too. Rose will miss the rest of the season after tearing the anterior cruciate ligament in his knee late in Chicago’s 103-91 victory over the Philadelphia 76ers in Saturday’s playoff opener at Chicago, casting a big cloud over a team eyeing a championship run. He scored 23 points and was playing more like the league’s reigning MVP after missing 27 games because of injuries during the regular season, but his season came to an end as the Bulls were wrapping up an impressive victory. Former NBA star Allen Iverson and his estranged wife, won’t be getting back together after all. According to TMZ, Tawanna Iverson claims the NBA legend has been harassing her and her family and now, she wants a restraining order. Tawanna Iverson just filed legal docs in the couple’s bitter divorce battle — claiming Allen “has engaged in increasingly contemptuous, threatening, and disturbing behavior” over the last few months … and she’s afraid things will get worse. Tawanna is asking for a judge to issue a protective order stat. It’s unclear whether she wants Iverson to stay away physically, or just stop harassing her. Tawanna also claims Allen is hiding big money from her — and she wants a judge to stop him. Rap star 50 Cent will accompany Floyd Mayweather to the ring during his highly anticipated Pay-Per-View “Ring Kings: Mayweather vs. Cotto,” a 12-round fight for scheduled for May 5th. According to Floyd, 50 Cent will walk to the ring with Floyd and perform prior to his championship bout with Miguel Cotto at the MGM Grand in Las Vegas. 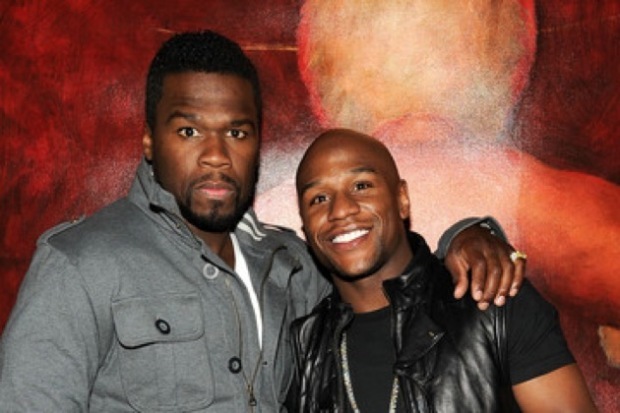 According to Floyd, he and 50 Cent have a bond that goes beyond music – the pair are also planning a business venture together that could lead to 50 Cent promoting fights. “We may even let him fight on Pay-Per-view one time, we don’t what the future holds, but he is getting involved with boxing. During an interview with ESNewsReporting, Floyd’s close friend 50 Cent discussed the boxing champ’s impact on the sport of boxing. “I think he’s the Muhammad Ali of our time,” 50 Cent said. “I think he’s the Muhammad Ali of our generation. The difference is the actual messaging points. Miami rapper/producer/personality DJ Khaled was forced to cancel a concert in Orlando, Florida, after his tour bus blew up. DJ Khaled was supposed to perform at the 2012 Grad Bash on April 27th, but could not make the show. Khaled tweeted photos of his tour bus, which caught fire and exploded on the side of the highway. DJ Khaled actually owned the vehicle in question, having purchased it in late 2010, after paying too much to rent buses for his tours. Luckily all occupants escaped the fire unharmed. Young Jeezy finally received a well-deserved nod from President Obama at the White House Correspondants Dinner Saturday night. After being asked what would happen a second term, the president joked to the glee of the audience in attendance. “In my first term, I sang Al Green; in my second term, I’m going with Young Jeezy,” the president quipped. “My President” was the fourth single from Young Jeezy’s third album, The Recession. The album was recorded the day Barack Obama was confirmed as the Democratic presidential nominee. The song also features Nas. 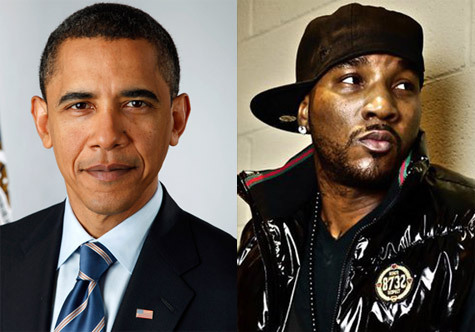 In 2008, Jeezy told MTV that he never expected to be recognized by the president. Posted on April 29, 2012 by M.E. Reality stars Evelyn Lozada, Kandi Burruss and Chrissy Lampkin got glammed up for a secret photoshoot featuring the three ladies. Kandi and Evelyn tweeted photos from the shoot and from th elooks of it Evelyn and Chrissy couldn’t keep their hands off of each other.